Tri-State Utilities Company (“Tri-State”) is a leading, award-winning, regional provider of trenchless repair, rehabilitation, inspection, and other maintenance services to the municipal utility market. Tri-State maintains long-term sewer and stormwater contracts with an enviable list of blue-chip customers making it a market leader in the Mid-Atlantic and Southeast. Matrix was retained by Tri-State to pursue a sale of the business with the goal of achieving a liquidity event and to provide wealth diversification for the Company’s shareholders. Matrix articulated Tri-State’s investment thesis to a broad universe of strategic and financial buyers that possessed an understanding of the industry and the growth opportunities that exist within the Company’s geography. Received significant initial interest and numerous final bids for the Company from a broad suite of financial and private equity supported strategic buyers, all the while maintaining process momentum despite an eroding earnings base. 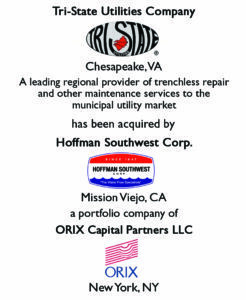 Matrix negotiated with Hoffman Southwest/ORIX Capital Partners and, despite several issues that arose with the buyer’s parent company and own operational hurdles, closed a transaction that achieved terms, conditions and valuation that aligned with the seller’s objectives. 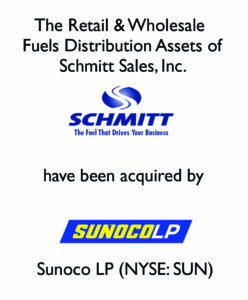 Schmitt Sales, Inc. (“Schmitt” or the “Company”), headquartered in Buffalo, New York, was a leading petroleum distributor and convenience retailer located throughout the Northeast and mid-Atlantic. The Company distributed Sunoco, ExxonMobil, Valero, Marathon, Keystone, and Shell branded fuel. Schmitt was founded in 1964 and shortly thereafter began partnering with independent grocery stores and convenience retailers to provide fuel offerings as a complement to traditional grocery and convenience items. Using this strategy, the Company was able to grow rapidly through the development of new partnerships with single-site retailers and the expansion of existing operations with multi-site operators. At the time of the transaction, the Company consisted of three operated convenience stores, 109 commission marketer sites, 91 supply contracts, and approximately 65 non-contract dealers. The Company’s CEO, Maureen Schmitt, and her family sought to exit the petroleum marketing and fuel distribution business to diversify their wealth and focus on other business ventures. To customize, execute, and complete a confidential sale process that would allow the Company’s shareholders to realize maximum after-tax value upon the sale of the Company’s retail and wholesale assets. Matrix provided Schmitt with merger and acquisition advisory services, which included valuation advisory, marketing the business through a confidential, structured sale processes, and negotiation of the transaction. Multiple competitive offers were received, and Sunoco, LP (“Sunoco”) was ultimately selected as the acquirer of the Company’s retail and wholesale assets. Matrix assisted in the negotiation of the asset purchase agreement and coordinated the due diligence process and transaction closing. The transaction with Sunoco closed in December of 2018. Revere Gas, Inc (“Revere” or the “Company”) was a third-generation propane gas distributor headquartered in Hartfield, Virginia. Under the leadership of the late Charles Revere and his sons, Carlton Revere, President and CEO; and Craig Revere, Executive Vice President; the Company significantly expanded its marketing presence across eastern and central Virginia, operating eight branch offices and a propane rail terminal (operating as First Virginia Propane, Inc.). Between Revere Gas and First Virginia Propane, the companies sold approximately 16 million gallons of propane fuel and served over 26,000 residential, commercial, agricultural, industrial, and governmental customers in 32 counties. Matrix was retained to perform a valuation of the companies and to advise on a possible sale process. Ultimately, the Reveres decided to sell both businesses to diversify the family’s wealth. To customize, execute, and complete a confidential sale process in a way that would allow the Revere family to realize maximum after-tax value upon the sale of the propane and rail terminal assets. Matrix provided merger and acquisition advisory services to Revere, which included valuation advisory, marketing the business through a confidential, structured sale process, and negotiation of the transaction. The sale process included a buyer pool of privately owned, regional and national propane marketers; large, public companies including MLPs; private equity funds looking to develop a platform in the propane industry; and buyers only looking to acquire the First Virginia Propane rail terminal. 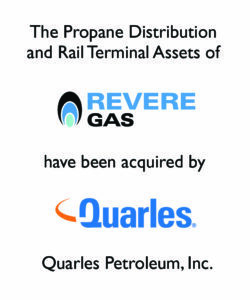 Multiple offers were received, and ultimately Quarles Petroleum, Inc. (“Quarles”) was selected as the buyer for both Revere Gas and First Virginia Propane. Matrix assisted in the negotiation of the asset purchase agreement, coordinated the due diligence processes, and assisted with a Quality of Earnings analysis performed by an outside accounting firm. The transaction with Quarles closed in December 2018. Giant Eagle, Inc. (“Giant Eagle” or the “Company”), one of the nation’s largest multi-format food, fuel, and pharmacy retailers with $8.9 billion in annual sales and ranked among the top 40 largest private companies according to Forbes magazine, operated 200 GetGo Cafe + Market convenience stores throughout Pennsylvania, Ohio, West Virginia, Maryland, and Indiana prior to its acquisition of Ricker Oil Company, Inc. (“Ricker Oil”). After meeting with Matrix in November 2017 to discuss the Company’s growth objectives, Giant Eagle approached Matrix during the second quarter of 2018 regarding the potential acquisition of Ricker Oil. Ricker Oil, based in Anderson, Indianapolis, operated 56 Ricker’s-branded convenience stores primarily located in the Indianapolis and Fort Wayne metro areas and supplied wholesale fuels to 80 branded supply accounts located in Indiana, Illinois, and Kentucky. 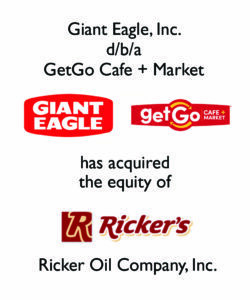 Giant Eagle saw the Ricker Oil acquisition as providing additional scale in the Indiana market, where it previously only had seven GetGo stores, as well as providing opportunities to leverage the strength of both the GetGo and Ricker’s convenience store brands. Matrix was engaged to advise Giant Eagle on the valuation of Ricker Oil, to assist in the development of operating and financial assumptions, and to negotiate and structure the terms of the Company’s offers and the transaction. Matrix developed a comprehensive financial model to evaluate the acquisition and to analyze the projected post-acquisition performance of Ricker Oil. The financial model included several unique scenarios that allowed for different operating and financial assumption sets to be utilized in order for the Company to easily perform sensitivity analyses and to estimate returns on equity for Giant Eagle and its shareholders. Matrix assisted Giant Eagle in preparing its formal offers for Ricker Oil and in preparing materials regarding the acquisition for Giant Eagle’s Board of Directors. Additionally, Matrix assisted Giant Eagle’s counsel, Weil, Gotshal & Manges, LLP, in the negotiation of the stock purchase agreement. Giant Eagle closed on the acquisition of Ricker Oil in December 2018. 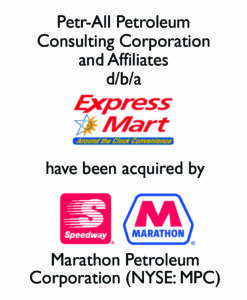 Petr-All Petroleum Consulting Corporation d/b/a Express Mart (“Petr-All”, “Express Mart”, or the “Company”) was founded in 1975 in Dryden, NY by the late Francis (Frank) Borer. To better serve the end customer, the first Express Mart convenience store opened in 1989 to offer, in addition to gasoline, a full convenience merchandise product line-up. Over the past three decades, under the management of Daniel Twombly (President of Finance) and Mike Askwith (President of Marketing, Planning & Store Operations), and with the support of over 900 Company employees, the Express Mart brand grew to 78 company-operated stores throughout the State of New York. Frank’s wife, Patricia Brock Borer, and their four children remained active in the business over the years, and ultimately decided to exit the industry to focus on other businesses and diversify their family wealth. To customize, execute, and complete a confidential sale process that would allow the Company’s shareholders to realize maximum after-tax value upon the sale of its convenience retailing assets. Matrix provided merger and acquisition advisory services to Petr-All, which included valuation advisory, marketing of the business through a confidential, structured sale process, and negotiation of the transaction. Multiple competitive offers were received, and Speedway LLC, a wholly-owned subsidiary of Marathon Petroleum Corporation (NYSE:MPC), was ultimately selected as the acquirer. Matrix assisted in the negotiation of the asset purchase agreement and coordinated the due diligence and closing process. The transaction with Speedway closed in November 2018. Client: Engineered Metals and Composites, Inc. 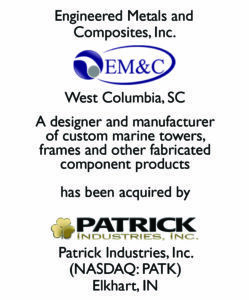 Engineered Metals and Composites, Inc. (“EM&C”) is a leading designer and manufacturer of custom marine towers, frames, and other fabricated component products for OEMs in the marine industry. EM&C is strategically positioned in a region that is home to some of the largest saltwater boat manufacturers in North America. Matrix was retained by EM&C to pursue a 100% sale of the business with the goal of achieving a liquidity event and to provide wealth diversification for the Company’s shareholders. Matrix worked closely with the management to team to develop a multi-step plan which included a direct approach to the major consolidator in the marine space, with all parties prepared to launch to the broader universe of targeted buyers if an acceptable bid was not presented. Understanding the Company’s business and the seller’s objectives, Patrick Industries, Inc. elected to submit a preemptive offer that accomplished these goals and preempted a formal process. Matrix negotiated exclusively with Patrick Industries, Inc. and closed a transaction that achieved terms, conditions, and value that exceeded the seller’s expectations. 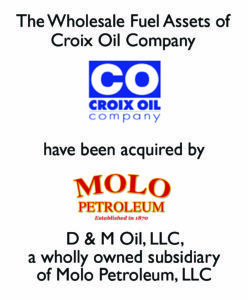 Croix Oil Company (“Croix” or the “Company”), headquartered in Stillwater, Minnesota, was a leading Minnesota and western Wisconsin petroleum marketer with operations primarily in the Minneapolis and St. Paul metropolitan area. The Company was a fuel distributor for BP, ExxonMobil, and Marathon and was a SuperAmerica and Circle K franchisee. Croix grew rapidly since the early 2000s through single site acquisitions, new-to-industry builds, and the acquisition of approximately one-third of BP’s stations in the Twin Cities in 2006. At the time of the transaction, the Company consisted of 13 owned and operated convenience stores, five owned dealer sites, three owned commissioned agent sites, and approximately 70 supply contracts. The Company’s President, Mark Ogren, and his family sought to exit the convenience store and petroleum marketing business to diversify their wealth and focus on other business and real estate ventures. To customize, execute, and complete a confidential sale process in a way that would allow the Company’s shareholders to realize maximum after-tax value upon the sale of the Company’s retail and wholesale assets. Matrix provided Croix with merger and acquisition advisory services, which included valuation advisory, marketing the business through a confidential, structured sale processes, and negotiation of the transactions. 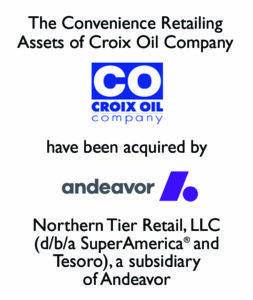 Multiple offers were received, and ultimately a bifurcated sale of Croix’s convenience retailing assets to a subsidiary of Andeavor and its wholesale fuel assets to a subsidiary of Molo Petroleum, LLC (“Molo”) was pursued to yield maximum after-tax value to the Company’s shareholders. Matrix assisted in the negotiation of the two separate asset purchase agreements and coordinated the due diligence processes and the multiple closings. The primary transactions with Andeavor and Molo closed in September 2018 with a final real estate closing with Molo in October 2018. 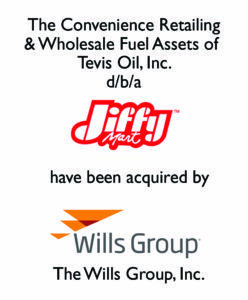 Buyer/Investor: The Wills Group, Inc.
Tevis Oil, Inc. (“Tevis” or the “Company”) was founded in 1932 by Stanley H. Tevis Sr. as a local fuels distributor in Westminster, MD. In 1981, the Company opened its first convenience store originally called Tevco, which was primarily a self-service truck stop featuring unbranded gasoline, along with hot food, drinks, and other convenience items. In 1987, the Jiffy Mart brand was born, and by 2001 all of the Company’s Tevco stores had been rebranded Jiffy Mart. The Company is currently led by Mr. Jack Tevis, who represents the 3rd generation of the Tevis family. The Company owned and operated 5 Jiffy Mart branded convenience stores, as well as 4 locations that were leased to commission agents and a dealer. The greater Tevis enterprise also spans home comfort solutions, commercial fuels, and HVAC businesses, consisting of: Tevis Energy (heating oil, diesel, and gasoline sales to residential and commercial customers); Tevis Propane (propane sales to residential and commercial customers); and, Modern Comfort Systems (HVAC installation, repair & maintenance). Jack Tevis decided to exit the retail convenience store and petroleum marketing business to focus on the other businesses and diversify family wealth. To customize, execute, and complete a confidential sale process that would allow the Tevis to realize maximum after-tax value upon the sale of its convenience retailing and wholesale motor fuel assets. Matrix provided merger and acquisition advisory services to Tevis, which included valuation advisory, marketing of the convenience retailing and wholesale motor fuel assets through a confidential, structured sale process, and negotiation of the transaction. Multiple competitive offers were received, and SMO, Incorporated (d/b/a SMO Motor Fuels and Dash In®), a subsidiary of The Wills Group, Inc., was ultimately selected as the acquirer. The transaction with SMO closed in September 2018. 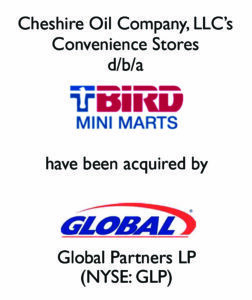 Buyer/Investor: An affiliate of Dublin, Ireland based Applegreen plc and Petrogas Global Ltd.
Cheshire Oil Company (“Cheshire” or the “Company”), headquartered in Keene, New Hampshire, owned and operated 10 high volume and highly profitable Citgo-branded “T-Bird Mini Mart” convenience stores in southwest New Hampshire and Vermont. The Company also operated several other businesses, including the sale of fuels to commercial customers, retail home heating oil delivery, and HVAC & burner servicing. The Company employed approximately 150 people, and was led by the management team of Mr. James Robertson and his daughter, Ms. JoJi Robertson. 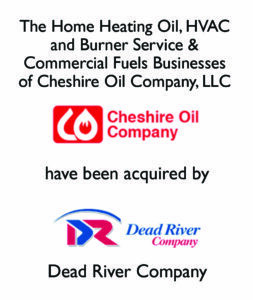 The Robertson family had operated Cheshire Oil Company since 1921 and had developed an extremely loyal base of customers across its convenience store network and HVAC & burner service businesses. The Robertson family sought to exit the convenience store, commercial fuels, heating oil, and HVAC businesses to monetize these valuable assets for estate planning purposes. To customize, execute, and complete a confidential sale process in a way that would allow the Robertson family to realize maximum after-tax value upon the sale of the Company’s various businesses. Matrix provided merger and acquisition advisory services to Cheshire, which included valuation advisory, marketing the business through two confidential, structured sale processes, and negotiation of the transactions. The bifurcated sale process included a buyer pool of convenience store-centric buyers, home heating oil buyers, and several large, diversified strategic companies with an interest in expanding both their convenience store and home heating operations. Multiple offers were received, and ultimately Global Partners, LP (NYSE: GLP) (“Global”) was selected as the buyer for the convenience store assets and Dead River Company (“Dead River”) was selected as the buyer for the other divisions. Matrix assisted in the negotiation of the two separate asset purchase agreements and coordinated the due diligence processes. The transactions with Global and Dead River both closed in July 2018, and substantially all of the Company’s employees were retained by the acquirers. 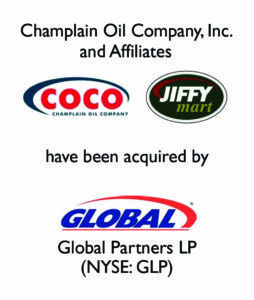 Champlain Oil Company, Inc. and Coco Mart, Inc. Client: Champlain Oil Company, Inc. and Coco Mart, Inc.
Champlain Oil Company, Inc. (“Champlain” or the “Company”) was founded in 1949 by C. Douglas Cairns in Burlington, VT. Several decades later, in 1990, the Company acquired the Jiffy Mart brand along with 13 company-operated locations from Jiffy Mart, Inc, and in the decades that followed Champlain grew into one of the largest petroleum wholesale distribution and convenience retail marketers in the northeast. The Company owned and operated 37 Jiffy Mart branded convenience stores, owned or leased 21 dealer and commission agent locations. The Company also supplied motor fuels under contract to 65 stations throughout Vermont and New Hampshire, as well as to commercial, industrial, and municipal customers on a non-contract basis. Additionally, Champlain owned and operated three cardlock fueling facilities, offered two fleet card programs, as well as operated its own fuels transportation fleet. The Company’s President, Tony Cairns, and his family sought to exit the convenience store and petroleum marketing business to diversify their wealth and focus on other business and real estate ventures. To customize, execute, and complete a confidential sale process that would allow the Cairns family to realize maximum after-tax value upon the sale of the Company. Matrix provided merger and acquisition advisory services to Champlain, which included valuation advisory, marketing of the Company through a confidential, structured sale process, and negotiation of the transaction. Multiple competitive offers were received, and Global Partners LP (“Global”) was ultimately selected as the acquirer. The transaction with Global closed in July 2018 with the vast majority of Champlain’s employees continuing their careers with Global. 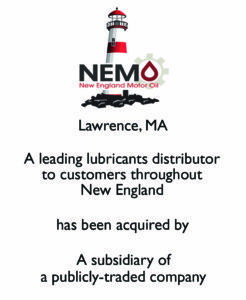 NEMO Oil Company, d/b/a New England Motor Oil (“NEMO”) is a leading lubricants distributor to customers throughout New England. NEMO maintains a longstanding relationship with Ford as a Motorcraft bulk oil distributor servicing a broad range of customers, including Ford dealers and tire and service chains. Matrix was retained by NEMO to pursue a 100% sale of the business with the goal of achieving a liquidity event and to provide wealth diversification for the Company’s shareholders. Matrix tailored a targeted mini-auction that included all of the relevant regional competitors with the financial wherewithal to consummate a transaction. We were able to yield multiple bids and utilize the leverage of other interested parties to increase the purchase price of the preferred buyer. Closed the transaction at a value well in excess of client expectations despite having limited leverage throughout the diligence and documentation process. Client: Brabham Oil Company, Inc.
Buyer/Investor: Enmark Stations, Inc. & Colonial Fuel and Lubricant Services, Inc.
Brabham Oil Company, Inc. (“Brabham” or the “Company”) was a fourth generation, family owned company headquartered in Bamberg, South Carolina. The Company owned and operated 34 E-Z Shop branded convenience stores and supplied motor fuels to 6 commissioned agent accounts and nearly 30 wholesale fuels and commercial fuels accounts throughout central South Carolina. The Company also operated its own fuels transportation fleet. All of the E-Z Shop stores and consignment sites, along with the majority of the dealer locations, sold motor fuels under Brabham’s proprietary Horizon fuel brand. The Company’s President, Brab McCully, and his family sought to exit the convenience store and petroleum marketing business to diversify their wealth and focus on other business and real estate ventures. To customize, execute, and complete a confidential sale process that would allow the McCully family to realize maximum after-tax value upon the sale of the Company. Matrix provided merger and acquisition advisory services to Brabham, which included valuation advisory, marketing of the Company through a confidential, structured sale process, and negotiation of the transaction. 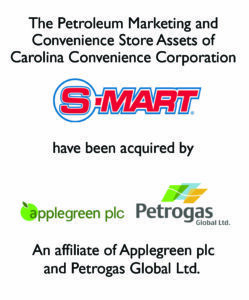 Multiple competitive offers were received, and Enmark Stations, Inc. (“Enmark”) was selected as the acquirer. Matrix assisted in the negotiation of the asset purchase agreement and coordinated the due diligence and closing process. Matrix also assisted the Company’s tax advisor in developing a dynamic, comprehensive financial model to analyze the after-tax proceeds under a variety of unique 1031 exchange scenarios. 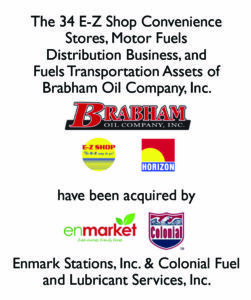 The transaction with Enmark and their wholly owned subsidiary, Colonial Fuel and Lubricant Services, Inc., closed in April 2018 with the vast majority of Brabham’s employees continuing their careers with Enmark. CHS Inc. (“CHS” or the “Company”), headquartered in Inver Grove Heights, Minnesota, is a Fortune 100 company that is a leading, global agribusiness owned by farmers, ranchers, and cooperatives located across the United States. The Company owns and operates two petroleum refineries and more than 2,500 miles of pipeline. CHS manufactures, markets, and distributes Cenex branded refined fuels, lubricants, propane, and renewable energy products through a network of more than 1,500 Cenex® branded retail petroleum outlets in 19 states, including its Cenex Zip Trip chain of convenience stores. 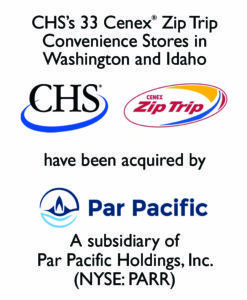 CHS sought to divest 33 of its Cenex Zip Trip stores in Washington and Idaho but also desired to continue supplying Cenex-branded fuels to the stores. To customize, execute, and complete a confidential, expedited sale process that would allow CHS to realize maximum value for the 33 Cenex Zip Trip stores in Washington and Idaho as well as to continue to supply the stores with Cenex-branded fuels after the closing. Matrix provided merger and acquisition advisory services to CHS, which included valuation advisory, marketing the business through a confidential, structured sale process, and negotiation of the transaction. Approximately one dozen competing offers from qualified buyers were received, and a subsidiary of Par Pacific Holdings, Inc. (NYSE: PARR) (“Par Pacific”) was selected as the acquirer. As part of its continuing effort to connect with companies in the downstream energy and convenience retail sector to understand their business and growth objectives, Matrix had previously met with Par Pacific in 2017. This led to Matrix advising CHS to include Par Pacific on the potential buyer list despite the fact that they owned no retail assets in the continental U.S. prior to this transaction. As part of the transaction, CHS and Par Pacific entered into branded petroleum marketing agreement for the continued supply of Cenex-branded fuels to the stores. Matrix assisted in the negotiation of the purchase agreement and the associated fuel supply agreements and coordinated the due diligence process. The transaction closed in March 2018, six months after Matrix was retained by CHS. Polsinello Fuels, Inc. (the “Company” or “PFI”) was founded in 1952 by Louis Polsinello Sr. as an oil burner repair services company. Over the years, Mr. Polsinello and his wife, Suzanne, grew the Company’s operations to include oil delivery trucks, followed by gas and diesel delivery, as well as a wide range of other products and services. Louis Polsinello Jr., President, who began his career in the mid-1970s, now leads the Company along with his two sons, Lou Polsinello, III and Matthew Polsinello. Matrix was retained to perform a valuation of PFI’s propane, heating oil, commercial fuels, and HVAC businesses and advise on a possible sale process. Thereafter, the shareholders of PFI decided it was time to divest its propane, heating oil, commercial fuels, and HVAC businesses, to focus capital on the continued growth of its motor oil and lubricants business. To customize, execute and complete a confidential sales process that would allow the Company’s shareholders to realize maximum after-tax value for its propane, heating oil, commercial fuels, and HVAC businesses. Matrix provided merger and acquisition advisory services to the PFI, which included valuation advisory, marketing of its propane, heating oil, commercial fuels, and HVAC businesses through a customized, confidential, structured sale process, and negotiation of the transaction. 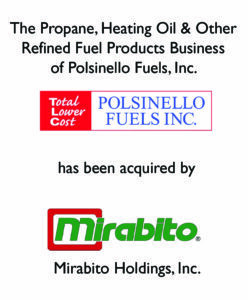 Multiple offers were received and after further negotiations with various potential buyers, Mirabito Holdings, Inc. (d/b/a Mirabito Fuel Group) was selected as the purchaser. Matrix assisted in the negotiation of the purchase agreement and coordinated the due diligence and closing process. The transaction with Mirabito Holdings, Inc. closed in March of 2018. 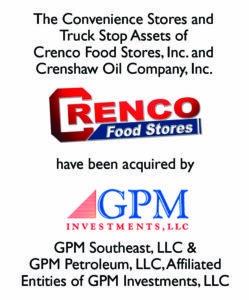 Crenco Food Stores, Inc. and Crenshaw Oil Company, Inc. Client: Crenco Food Stores, Inc. and Crenshaw Oil Company, Inc.
Crenco Food Stores, Inc. and Crenshaw Oil Company, Inc. (hereinafter referred to as “Crenco” or “Company”) owned and operated four convenience stores, one truck stop, and a wholesale motor fuels transportation business in and around Lancaster, South Carolina. Hal Crenshaw, the Company’s sole shareholder, contacted Matrix to discuss a potential sale of the Company as Mr. Crenshaw felt as though his choices were to either sell the assets or reinvest in the Company by redeveloping several of the stores in order to modernize them and improve their competitive position for the long-term. In addition, Mr. Crenshaw needed to redevelop one of the stores, whether there would be a sale or not, in order to allow access to commercial real estate that he planned on developing in the near future. Matrix provided Mr. Crenshaw with valuation guidance and recommended a sale process that would maximize the probability of achieving all of his goals in exiting the business. To customize, execute, and complete a confidential sale process that would allow Crenco to realize maximum after-tax value for the Company and allow a redevelopment of one property. Matrix provided merger and acquisition advisory services to Crenco, which included valuation advisory, marketing of the Company through a confidential, structured sale process, and negotiation of the transaction. Multiple offers were received and GPM Investments, LLC was selected as the acquirer. Long-term lease agreements were negotiated with GPM on two of the properties, which allowed Mr. Crenshaw to sell his business at all of the locations and also maintain a considerable current income stream. Matrix assisted in the negotiation of the asset purchase agreement and lease agreements and coordinated the due diligence and closing process. The transaction with two affiliated entities of GPM Investments, LLC closed in March 2018. 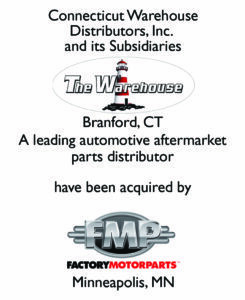 Connecticut Warehouse Distributors, Inc. (“CWD”) is a leading distributor of aftermarket automotive parts. CWD has established itself as the largest distributor of Motorcraft and AC Delco products in the New England region. Matrix was retained by CWD to pursue a 100% sale of the business with the goal of achieving a liquidity event and to provide wealth diversification for the Company’s shareholders. Matrix clearly articulated CWD’s investment thesis to a broad universe of strategic and financial buyers that possessed an understanding of the industry and/or had experience with similar businesses. Working closely with management, Matrix analyzed and evaluated a range of offers from interested buyers that tended to be based off of either a cash flow multiple or the assets of the business. Completed a sale to a strategic buyer at a premium valuation relative to CWD’s assets. 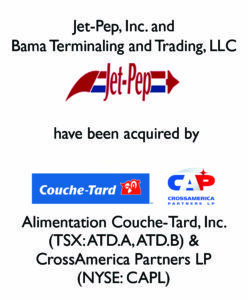 Jet-Pep, Inc. and Bama Terminaling and Trading, Inc. Client: Jet-Pep, Inc. and Bama Terminaling and Trading, Inc.
Headquartered in Holly Pond, Alabama, Jet-Pep, Inc. (“Jet-Pep”) was founded by Robert Norris who built his first gas station in 1973. Jet-Pep grew over subsequent decades into a portfolio of 120 petroleum marketing retail assets, selling in excess of 140 million gallons of motor fuel annually throughout Central and Northern Alabama. Due to the significant growth of the retail portfolio, Robert Norris acquired a legacy fuel terminal in Birmingham from Motiva in 2011 and significantly renovated and expanded the terminal to a capacity of 270,000 shell barrels; the proprietary terminal reopened in 2013. Matrix performed a valuation of Jet-Pep and Bama Terminaling and Trading, LLC (“BTT”) and advised on a potential sale process. After undertaking various gift and estate tax planning measures, the shareholders of Jet-Pep and BTT decided it was time to exit the industry and diversify their family wealth. To customize, execute and complete a confidential sales process that would allow Jet-Pep’s shareholders to realize maximum after-tax value for the entirety of the Company. Matrix provided merger and acquisition advisory services to Jet-Pep, which included valuation advisory, marketing of the Company through a customized, confidential, structured sale process, and negotiation of the transaction. Competing offers were received, individually for the petroleum marketing retail assets and the terminal, as well as offers for the entire enterprise. After further negotiations with various potential buyers, Alimentation Couche-Tard (in connection with CrossAmerica Partners LP) was selected as the acquirer. Matrix assisted in the negotiation of the purchase agreements and coordinated due diligence and the closing process. The transaction closed in November of 2017. Headquartered in Worcester, Massachusetts, the Iandoli family has owned Honey Farms, Inc. (the “Company” or “Honey Farms”) since 1969, and the family’s retail food operations of delis and supermarkets spans back to the 1920s. The roots of the Honey Farms brand date back to the 1950s when they were dairy stores selling bread, milk and other staple food items. The Iandoli family purchased the Honey Farms chain along with a few legacy Millbrook Farms stores in July of 1969. After the supermarket business was sold in 1985, the Honey Farms stores became the core focus of the family, and the business grew significantly under the leadership of Wilfred Iandoli (deceased) and the current President and CEO, David Murdock, who has spent over four decades with the Company. Matrix was retained to perform a valuation of the Company and advise on a possible sale process. 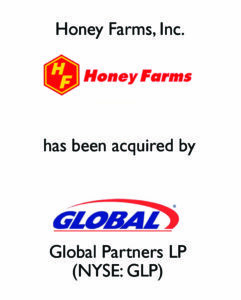 Thereafter, the shareholders of Honey Farms ultimately decided it was time to sell the Company in order to exit the industry and diversify their family wealth. To customize, execute and complete a confidential sales process that would allow the Company’s shareholders to realize maximum after-tax value for the Company. Matrix provided merger and acquisition advisory services to the Company, which included valuation advisory, marketing of the Company through a customized, confidential, structured sale process, and negotiation of the transaction. Multiple offers were received and after further negotiations with various potential buyers, Global Partners LP (NYSE:GLP) was selected as the purchaser. The transaction with Global Partners LP closed in October of 2017. 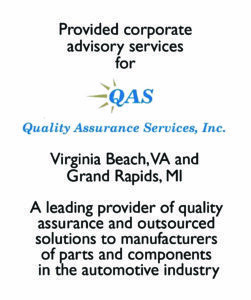 Client: Quality Assurance Services, Inc.
Revere Gas approached Matrix during the first quarter of 2017 regarding two propane acquisition opportunities- Natural Gas Company of Virginia (d/b/a Mr. 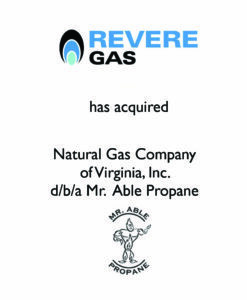 Able Propane), based in Richmond, Virginia and Dixie Fuel Company, based in Newport News, Virginia. Both Mr. Able Propane and Dixie Fuel Company supplied propane to residential, commercial, and industrial customers. Revere targeted the acquisitions due to their attractive customer base and geographic location relative to Revere’s existing operations in eastern Virginia. In the aggregate, Mr. Able Propane and Dixie Fuel Company served approximately 4,300 customers. Matrix was engaged to advise Revere on the valuation of each target company, to negotiate and structure the terms of the asset purchase agreement, and to assist Revere with obtaining debt financing to fund the transactions. After the asset purchase agreements were executed, Matrix developed a presentation outlining the key highlights of both acquisitions and the projected performance of the consolidated entity post-close. Alongside Revere’s management, Matrix presented the financial model to Revere’s commercial lender to help secure the senior term loan to fund the transactions. 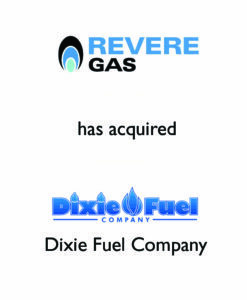 Revere Gas closed on Dixie Fuel Company in June 2017 and Mr. Able Propane in August 2017. 12.4.18 Matrix Advises Giant Eagle, Inc. on the Successful Acquisition of Ricker Oil Company, Inc.